Mount Eerie and the Microphones songsmith Phil Elverum is no stranger to using the Internet in innovative ways, entertaining the masses with his Twitter haikus and recently launching (and soon after selling) a band-naming service. Unfortunately, his latest online endeavour is of a much more sombre nature. 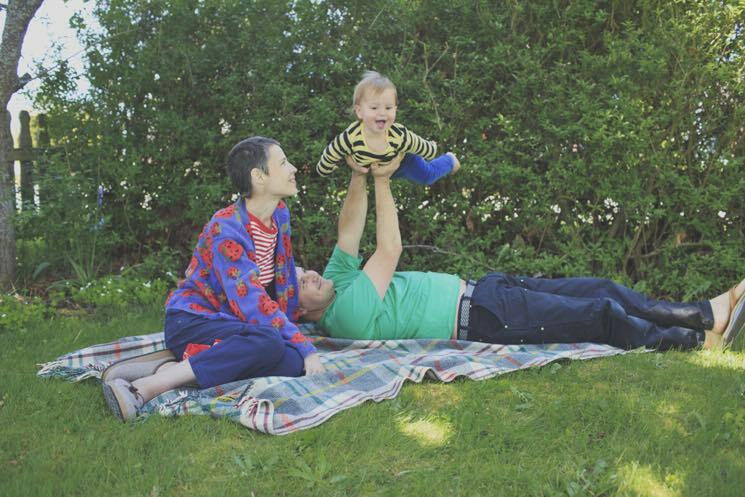 Elverum has launched a GoFundMe campaign to help his wife cover the costs of cancer treatment. Four months after giving birth to their daughter, Canadian-born Geneviève Elverum was diagnosed with stage 4 pancreatic cancer last spring. Despite the help of friends, family, community and the health care system, Phil Elverum explains, "the many peripheral costs that aren't covered by insurance have totally depleted our savings, money we had slowly accumulated from so many years of grinding it out as self-employed artist/musicians, now with a baby." The 34-year-old Genviève has worked as a cartoonist since she was a teenager, as well as making music with projects like Woelv and Ô Paon. As a couple, the Elverums have helped organize events like What the Heck Fest and the Anacortes Unknown Music Series in Phil's hometown of Anacortes, WA. We have never been super public about our couple-hood and have always drawn the focus instead to the projects at hand, and through all the touring and festivals and public-ness we have maintained a very precious private bubble at home. The difficult times we find ourselves in challenge that bubble. The goal is currently set at $100,000. Full information about the campaign and how to donate can be found here.